I had a meander through Nishiki Market when I visited Kyoto. The market, which has an upscale feel, is world famous, and sparked my imagination with a riot of colors and unique products I had not seen before. My visit to Wan Nyan Chu II cat café also had things I never saw before, but unlike Nishiki Market, the effect was far less inspired. While the space was decidedly better than Wan Nyan Chu I, it was by a nose. I paid Y1000 for 30 minutes and stepped into the room that felt messy and cluttered with blaring electro-synth music that seemed out of place. There were 18 cats, and with several howling pitifully in cages, the atmosphere just felt sad. In addition to the main cat space, there is also a kitten room available for an extra Y500/15 min. I tried to make the best of the situation and sat down next to one sweet little female to pet her when suddenly a male cat came over and began to attack her. He was after one thing and it took quite a bit of effort to break it up. 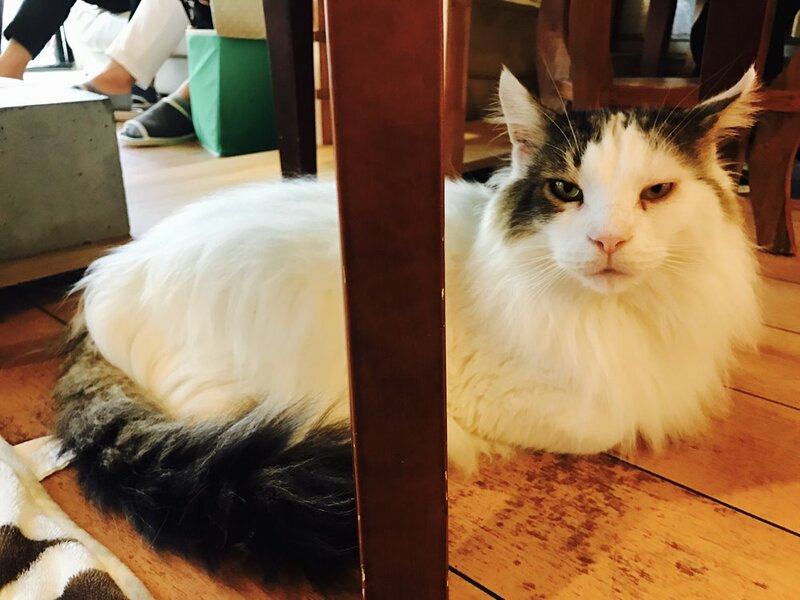 Definitely one of the stranger experiences I’ve had in a cat café, it stands out as memorable, but not in a good way. With several excellent choices in Kyoto, I would give the Wan Nyan Chu cafes a pass.